Hand knotted pure silk rugs from India with detailed Persian design which is existed in this carpet, is surely the best investment in your life. It contains Kashan design which is woven in details and includes tiny floral pattern. This carpet is ideal for a living room or a bedroom. Give a classic touch to your décor by placing the most luxurious handmade silk area rug which is woven in handknotted technique on a handloom by our skilled weavers. 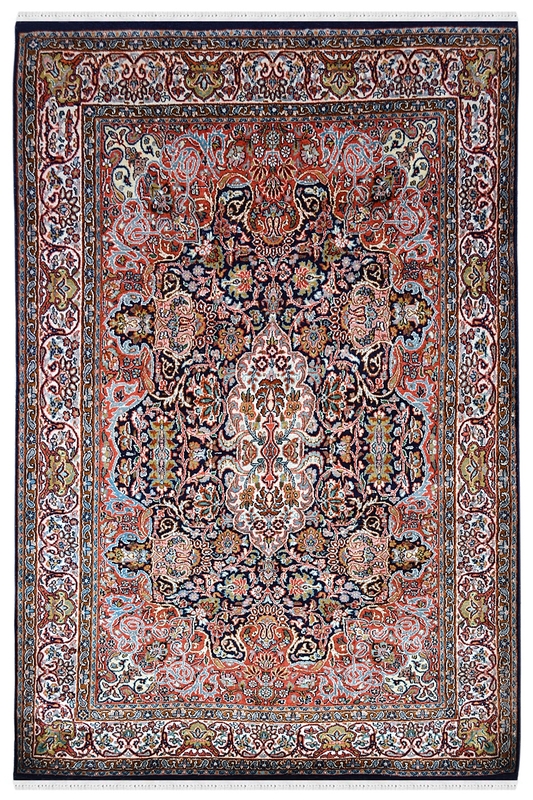 This carpet contains Kashan design pattern which is originated from Persia in 17th century. The ground of this carpet is filled with tiny floral pattern which is really hard to weave. It is a traditional silk carpet which is a long-lasting and best for low traffic area.